In 1854, Cholera disease was spread in Soho, England, for which some were died. Nobody understood what was the cause of this disease and why all this was happening with everyone. It seemed to all the authorities that all of this was due to the wind, because air in Soho became too much polluted at that time. But then a doctor named John Snow cames and start doing his research to find-out why this disease happens in that surrounding. So he made a map and in that map he notes the facts and reasons of affected people. When he reads all the data of the map then he realises that all the affected people uses the same tube-well for water consumption which located in the middle of Soho. Steven Johnson listened this Cholera story many times from many persons so he decided to do research on it and he came to know some useful truth about Cholera story which others didn’t know. Most of the people thinks that the idea “cholera spreads through water” came into the mind of John while creating the map, But the doctor was already getting the idea that the cholera would spread through water.In-fact he started his work in this since 6 years before of that incident. He has made that map to convince the authority and to prove them his theory. And Steven found that researching on cholera was not John’s main work, this was his hobby and his side project which he was doing to break the pattern of his boring work. John did not make that map alone, but he was also involved with another person, whose name was “Henry Whitehead”, who was a vicar(priest of church) of that locality. Henry was not from a science field but he was the main part of this job, because his thinking was different from John and he know all peoples of that area very well which help them both in noting data of that locality in map. From this story and from many researches which Steven Johnson did in different fields like history, biology etc. Steve finds some important points by following them anyone can create great ideas. If I ask you “from which places where do generally great ideas comes from?” then most of people’s answer will be like “from research lab where peoples generally doing research or something like that” . 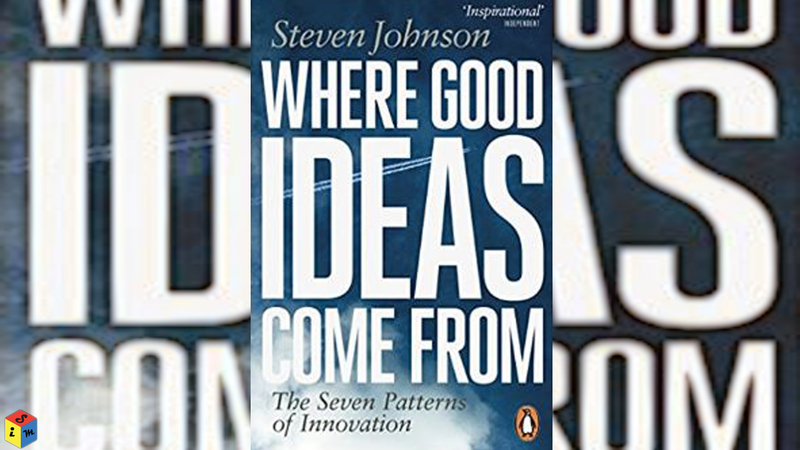 But Steven Johnson says , “Most of ideas do not come when you are alone doing research in a lab, Rather, the ideas come in such a place where people discuss their thoughts with free-mindset with each other like in coffee shop or in cafeteria. Ideas and Innovations in England have increased a lot when the people started drinking coffee instead of drinking alcohol,by going coffee shop where do people sharing there ideas and thoughts with other who belongs to different field. That’s why we should also create a network and group of people with whom we can share and get Ideas and Thought, and it will be better if we include people from different fields and say them our ideas, by this we can get different perspectives which can make our simple idea into a great idea. The world’s best known Great Ideas is not made by anybody alone by doing research, rather, they have come from by combining and modifying other’s ideas with their ideas. So just create at least 1 group where you can discuss about ideas and innovations. When a person performs the same routine every day, then usually his brain can’t think new and great ideas. But when he breaks his pattern,and does something new like meeting new people, going to a new place or doing something different than usual at that time new things pushes brain to think differently. So keep your life with chaos and randomness which will help you to think new and great ideas. Many people thinks that great ideas were came suddenly with a eureka moment, But this is not true, because most of the great ideas take a long time and build in with slow hunches. Tim Berners Lee read a book after that he work in that topic for 20 years then he got idea to create www(world wide web) which was a important part of internet and currently we all use that. So didn’t think that one day you will suddenly get a great idea that will change your entire life, rather, start taking action with your normal idea, as time goes your idea will be develop and improve otherwise you will get another brilliant idea in this process. I have given you all of this information from the book Where Good ideas Come From. This is a very good book to make changes in your life.